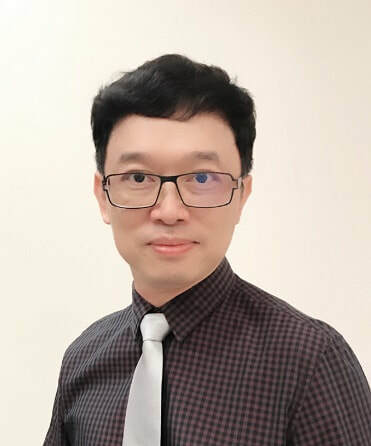 Prof. Dar-Bin Shieh is the Founding Chair and Distinguished Professor of the International Institute of Macromolecular Analysis and Nanomedicine Innovations (iMANI) and the Institute of Oral Medicine in National Cheng Kung University (NCKU), Taiwan. He is also the session chief of Oral Diagnosis and Pathology in the Stomatology Department in NCKU Medical Center. His research interest is in nanomedicine, biophotonics, mitochondria medicine and cancer biology. Some highlights of his prior works include: In vivo non-invasive optical biopsy by harmonic generation tomography (2006 Optics Express cover); Artificial targeted light activated nano scissor for gene sequence selective editing modulated by light (Biomaterials, 2010); Multi-modal molecular imaging nano contrast (Journal of American Chemical Society cover, 2010). Nanotribological analysis of tooth subject to combined laser and topical fluoride treatment (Journal of Dental Research cover, 2013). Precision sequence specific DNA scission and enrichment are critical enabling technology for precision molecular diagnostics and therapeutics. Current solutions failed to achieve elective and localization controllable activation of gene scission and enrichment. Here we presented a photonic based sequence specific DNA scission based on comprehensive integration of DNA base-pair recognition mechanism and a FRET controlled radical pair activation to precisely cut DNA at desired genetic sequence localization. Photonic DNA enrichment was enabled by efficient photo-thermal conversion through specialized reaction mixture design and paired electromagnetic wave exposure. WE anticipate such innovative design would significant improve qPCR based molecular diagnostics and photonic based precision DNA scission for pathogen detection and therapeutics.